The blog post above was ridiculously succesful and has been viewed over 75,000 times over the last three-and-a-half years. 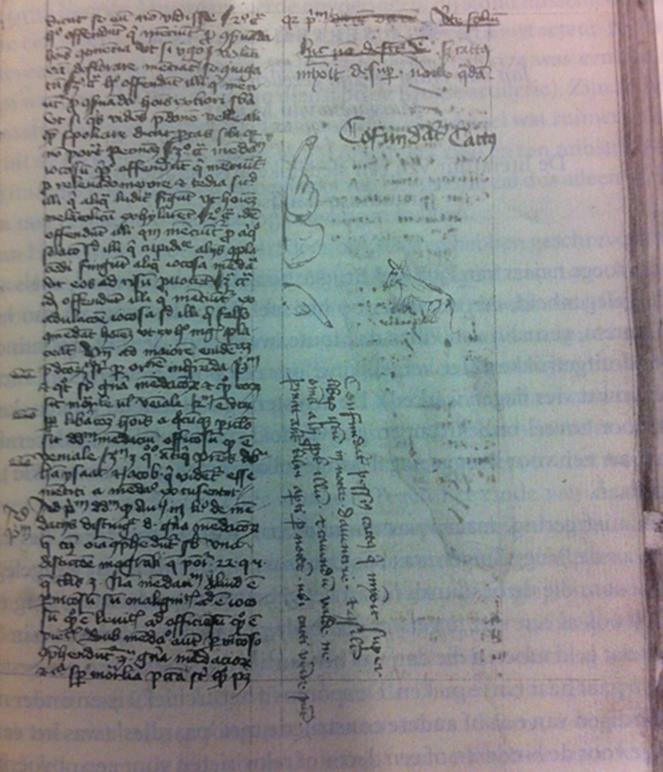 Various bits of the blog post have also been floating around on the internet, including my own translation of the Latin along with the image of the cat-pee manuscript (sometimes with, but more often without attribution!). The success of the blog post, obviously, boils down to a mix of popular ingredients. The internet has always had a unique relationship with cats, with several websites being devoted only to clips and pictures of our feline friends. The Middle Ages, too, are gaining in popularity with the ongoing success of medieval fantasy series such as Game of Thrones and Vikings. People are fascinated by medieval culture and like learning more about the world of our ancestors a thousand years ago. Combining medieval stuff with cats? The key to success! About two years ago, the blog post reached its apex of fame, when I received an e-mail from The International Cat Association (TICA). Apparently, they had read my blog post and now wanted to publish it in their magazine. This magazine, TICA TREND with its tagline ‘For Fabulous Felines, Fun and Friendships!’, is shipped to over five thousand cat owners worldwide! My piece was indeed published in the June/July issue of 2015, which also featured the winner of the 2013-2014 Best Household Pet Kitten of the Year’ (you can read it here). The TICA Trend magazine. My cat Cnut was most pleased to read the magazine ‘for fabulous felines, fun and friendship’; Breca the Pug was not impressed. While I am aware that the little publication in TICA TREND is not an academic achievement worth boasting too much about, it does introduce the fascinating world of medieval manuscripts to an audience outside of academia. In all, therefore, I am quite pleased with my first ‘paw-reviewed’ article, even if something appears to have gone wrong in the printing process. The article’s title in the magazine reads ‘Paws, Pee and Pests: Cats among Medieval Century Manuscripts’ and the word ‘Century’ obviously shouldn’t have been there. 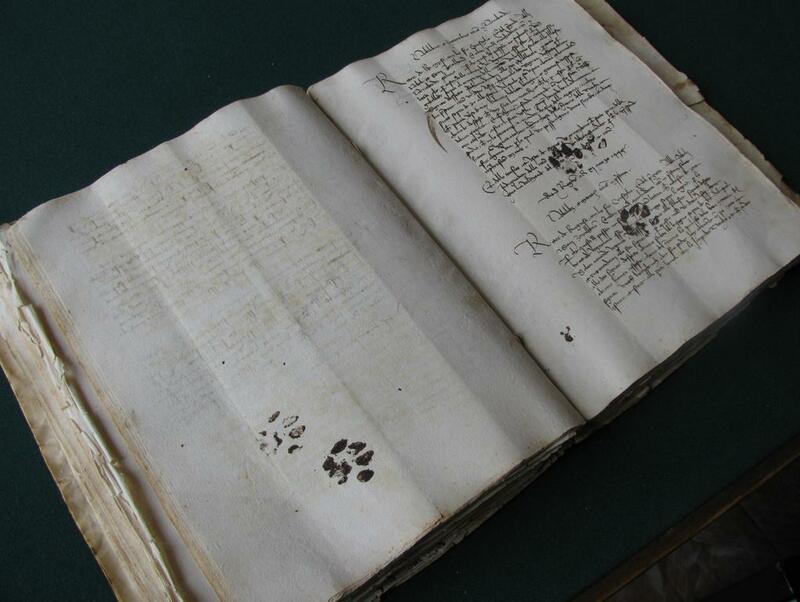 Perhaps, the error was caused by a cat walking all over the editor’s keyboard – a problem a medieval scribe could relate to!